From the gorgeous Grand Canyon to the cool Flagstaff forests, those searching for Mesa mobile homes for sale in AZ are no strangers to the state’s many natural wonders. But what many may not know is that the state is also home to a number of incredible historical sites. Whether you’re planning on making the move to the desert or you simply can’t get enough of your snowbird status, here is a list of three AZ historical sites you simply must see. Take a cool and exciting day trip to Flagstaff to visit one of the state’s most beautiful and significant Arizona Historical Society venues: the Pioneer Museum. Housed in a gorgeous structure originally built in 1908, the Pioneer Museum features tours and exhibits designed to educate interested visitors on the local history of ranching, logging, transportation, and life in Pioneer Flagstaff. Drop by for a daily tour, schedule a trip around a new exhibit, or make a weekend out of it by taking part in an exciting seasonal festival such as the Flagstaff Folk Festival or the Annual Pioneer Picnic! For those dreaming of a true Wild, Wild West experience, there is simply nothing more exciting than a visit to Arizona’s famous O.K. Corral, located in Tombstone, AZ. Home to the famous gunfight taking place back in 1881 between Wyatt, Virgil, and Morgan Earp (and their friend Doc Holliday) and Clanton and the McLaury gang, O.K. 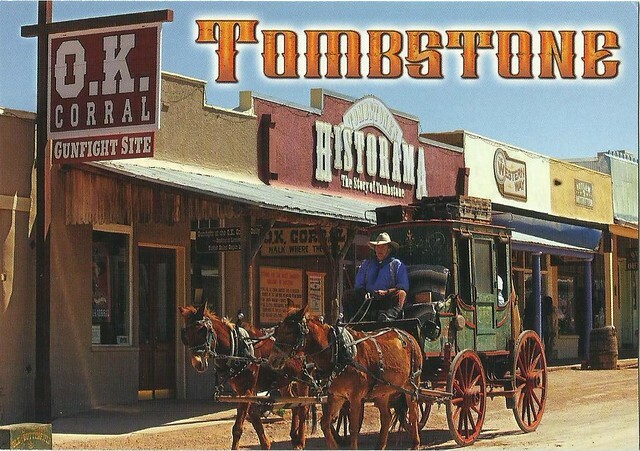 Corral draws history buffs and western enthusiasts alike. Walk the same ground upon which the famous fight took place, learn more about the story behind it all, and take your seat for an incredible reenactment held daily in the afternoon! For a combination of history, nature, and desert wildlife, pull your hiking boots on and swing by Colossal Cave Mountain Park located in Tucson, Arizona. If geology strikes your fancy, head inside the cave for a half-mile long tour filled with fun facts, history lessons, and cave formation sightings. If you love to view animals and nature, grab your camera and prepare to come face to face with foxes, butterflies, and a wide variety of gorgeous desert flowers. From the towering Saguaros to the exciting La Posta Quemada museum, prepare for an afternoon of wonder and beauty when visiting the Colossal Cave Mountain Park!